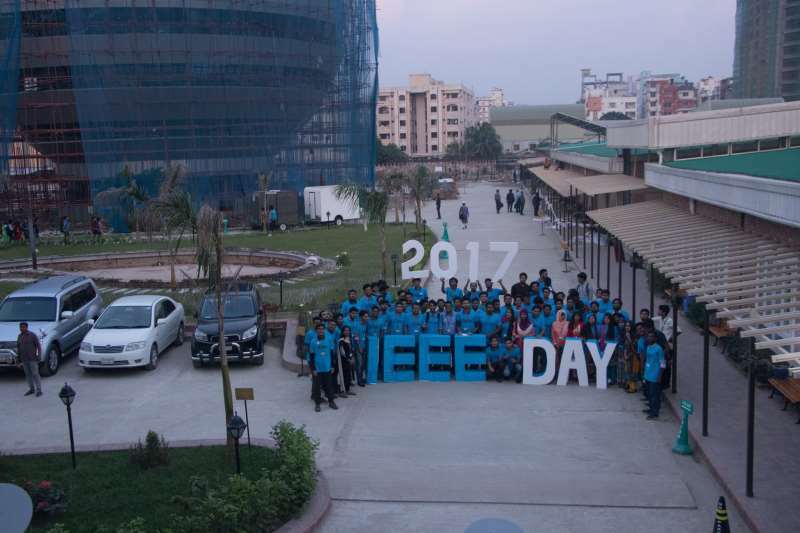 On 12th October 2017, IEEE AIUB Student Branch hosted and celebrated “IEEE Day 2017” at American International University - Bangladesh (AIUB). 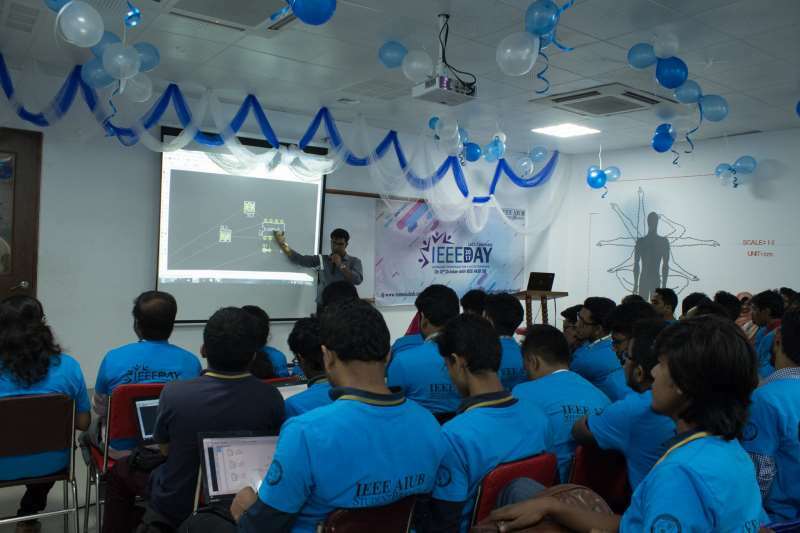 The theme of this year’s IEEE Day is, “Leveraging Technology for a Better Tomorrow”. In commemoration of the day, IEEE AIUB Student Branch organized multiple sessions and competitions throughout the day. The event commenced with an opening speech delivered from our honorable Prof. Dr. A.B.M. 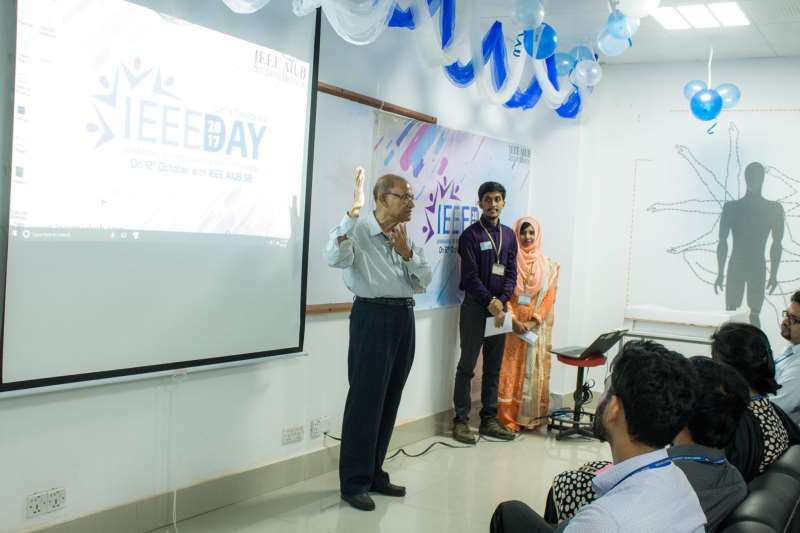 Siddique Hossain, Advisor, IEEE AIUB Student Branch; Dean, Faculty of Engineering, AIUB, who started off by explaining the participants the importance of collaborating and sharing ideas with individuals for the advancement of science and technology. Later, he briefed the participants about IEEE, different forms of IEEE membership and its advantages. Afterwards, he inaugurated the “IEEE Day 2017” with a cake cutting ceremony joined by the participants. After the inauguration ceremony, the first session of the event, which was a motivational talk, commenced with a presentation by Dr. Md. Mohiuddin Uzzal, Associate Professor & Head of Post Graduate Program, Dept. of EEE, AIUB. He then explained to the participants that the key to success is to never give up hope. He also urged the participants to follow their own dreams which give them inspiration and motivation and walk their way up through it to be happy in life. The concluding speech of the session was delivered by Dr. M. Tanseer Ali, Senior Assistant Professor, Faculty of Engineering, AIUB. Later, he gave a certificate and tokens of appreciation to Dr. Md. Mohiuddin Uzzal. After the motivational speech, an interactive session on a game of Charades was conducted for the participants. Nine teams were formed for this session with five members of each team. Following the interactive session, a workshop titled “PCB Design with Eagle” was conducted by Mr. Mahmud Yusuf, Embedded System Engineer, AplombTech BD, who started off with a presentation on PCB designing. He then gave a description of the EAGLE software. Later, he demonstrated the generation of a PCB layout of a negative feedback amplifier using a 741 op-amp. The workshop concluded with a question and answer session with the participants. Afterwards, Dr. M. Tanseer Ali delivered the closing speech and presented Mr. Mahmud Yusuf with a certificate and tokens of appreciation. After the workshop, the games and the cultural session were conducted. For this session, at first, a “Quiz Contest” was conducted. Following the quiz contest, a game of “Scavenger Hunt” was conducted among nine teams with five members in each team. Participants had to solve sudokus and equations to find the room number where they would eventually find their next problem to solve and advance in the game. Afterwards, a musical performance took place by in-house performers for the cultural session. Later followed the prize giving ceremony of the event, which commenced with a speech delivered by our respected Prof. Dr. Md. 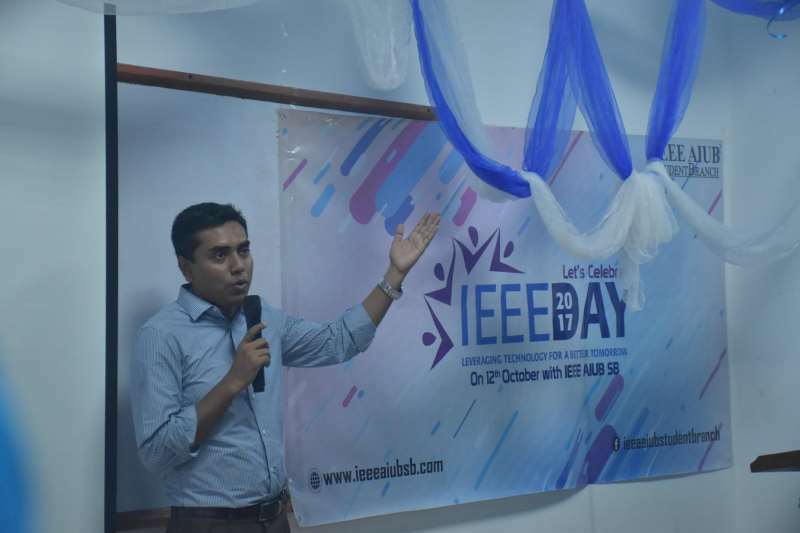 Abdur Rahman, Advisor, IEEE AIUB Student Branch; Director, Faculty of Engineering, AIUB, who briefed the participants about the future plans of AIUB to excel in the future. Following his speech, Md. 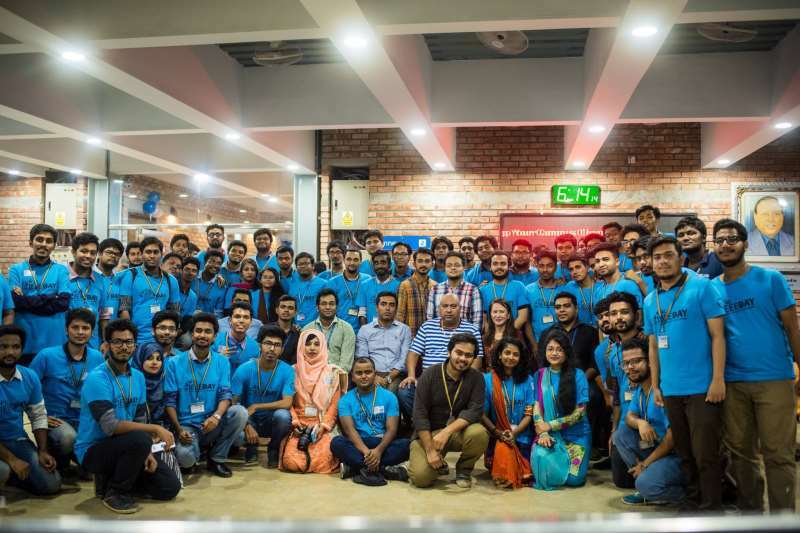 Jubaear Alam, Former Chairperson, IEEE AIUB Student Branch, Anindo Saha, Former Vice-Chairperson, IEEE AIUB Student Branch, Alif Mohammad Asif, Former Treasurer, IEEE AIUB Student Branch, Md. 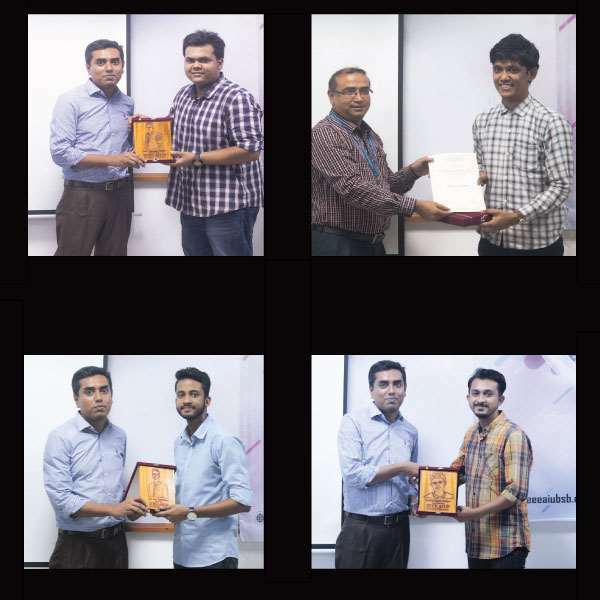 Amirul Islam Rokan, Former Designer, IEEE AIUB Student Branch, Mahir Mahdee, Former Social Media Coordinator, IEEE AIUB Student Branch were presented with tokens of appreciation by Prof. Dr. Md. Abdur Rahman and Prof. Dr. Mohammad Abdul Mannan, Head (Undergraduate), Faculty of Engineering, AIUB, and Md. Saniat Rahman Zishan, Advisor, IEEE AIUB SB, Senior Assistant Professor, Faculty of Engineering & Special Assistant, Office of Student Affairs, AIUB for their contribution to IEEE AIUB Student Branch for the year 2016. 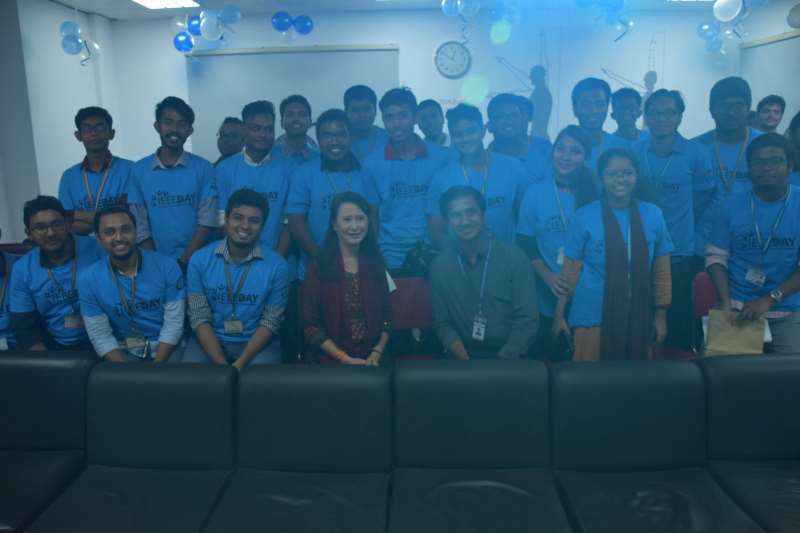 The winners of the “Interactive Session” and “Quiz Contest” received their prize from Nasim Al Islam, Vice Chairperson, IEEE Young Professionals(YP), Bangladesh Section; Lecturer, Faculty of Engineering, AIUB and the winners of the “Scavenger Hunt” competition received their prize from Kazi Ahmed Asif Fuad, Motivator, IEEE AIUB Student Branch; Lecturer, Faculty of Engineering, AIUB. Later, a photo session was conducted with the participants along with our honorable Dr. Carmen Z. Lamagna, Vice Chancellor, AIUB and Dr. Hasanul A. Hasan, Founder Member, Treasurer and Vice President HR, Admin and Center for Technology and Continuing Development, AIUB as the chief guests of honor to which the day-long event was concluded.